NE-C801 Compressor Nebuliser system is developed for the efficient management of asthma, chronic bronchitis, allergies and other respiratory disorders. Efficient Nebuliser Kit - The Nebuliser kit provides a dense aerosol in the therapeutic range. 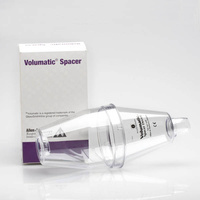 It has a 7mL medicine cup designed to optimise nebulisation of medication. Compact Design - Compact design and powerful delivery makes NE-C801 the product of choice for those who demand portability and performance.